Nevertheless, investors have been flocking to Bitcoin in large numbers ahead of Bitcoin Gold. What is Bitcoin Gold? I'll set aside my personal opinion on whether it's needed, but suffice it to say that a small group of developers decided to create a Bitcoin fork, use "Bitcoin" in the name, and then alter the core code to enable competition from graphical CPUs. Currently, almost all Bitcoin mining takes place using application-specific CPUs, or ASIC chips, as they're called. The idea behind Bitcoin Gold is to make other types of chips contained in ordinary computers more competitive.3 Whether or not this is actually the case doesn't seem to matter to investors. Unfortunately (if you own anything other than Bitcoin) it doesn't just end with Bitcoin Gold. 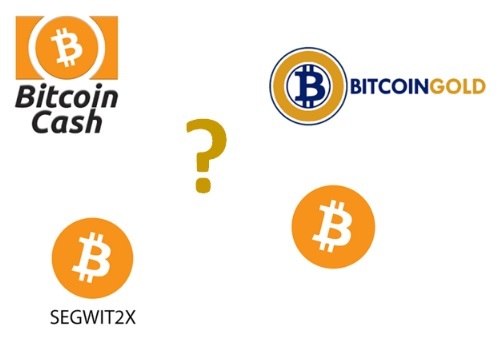 Even though a majority of miners have already declared their support for this second step, enough doubters exist that people are predicting yet another fork and creation of something akin to "Bitcoin Cash" as some miners continue to support the existing Bitcoin chain. My own personal opinions about Bitcoin not being an enterprise solution for global payments don't matter; the crypto market is still in love with the "model T" for some reason. Years from now, historians will look back on 2017 with a mix of horrified wonder and morbid fascination at how completely irrational markets can behave. We shouldn't reward Bitcoin for this atrocious code governance. If you were a fund manager, responsible for managing millions of dollars of customers' money, and you had a choice of what you considered high-risk assets, would you invest that amount in crypto-currency after seeing Bitcoin code continuously updated, abandoned, or otherwise altered while the value of the underlying asset was diminished and diluted? What does this say to you about the governance of lesser-known alternative crypto-coins? Luckily for XRP Investors, if traditional financial managers and bankers take a close look at XRP versus Bitcoin, they will immediately encounter something very different when it comes to governance of code updates. One network is unable to cope with any sort of code change - no matter how small or insignificant - while the other is on version 80.10 That's not a typo. This process is fair, efficient, decentralized, and allows for a majority of validators to quickly update the network without resulting in the type of chaos that we've seen with Bitcoin. 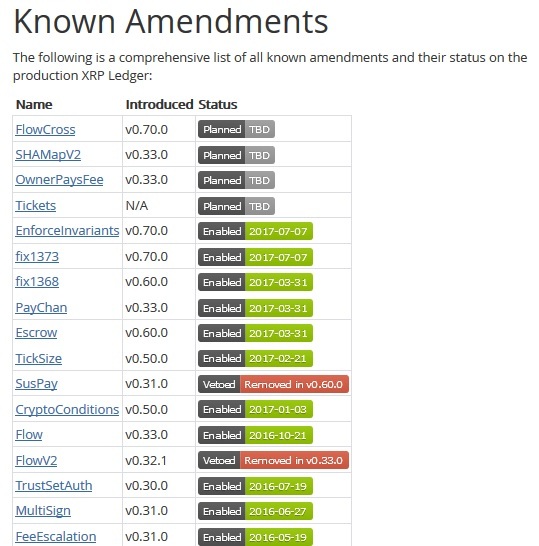 Features like escrow13 were added via this confirmation process, and this strong and effective governance model also allows Ripple to respond with alacrity to any security issue if they arise. This type of code governance leverages the strengths of decentralization without any of the inherent weaknesses that we've seen with Bitcoin. Ethereum also suffers from questionable governance, with one central figure that seems to have sole power over which features are included or excluded. 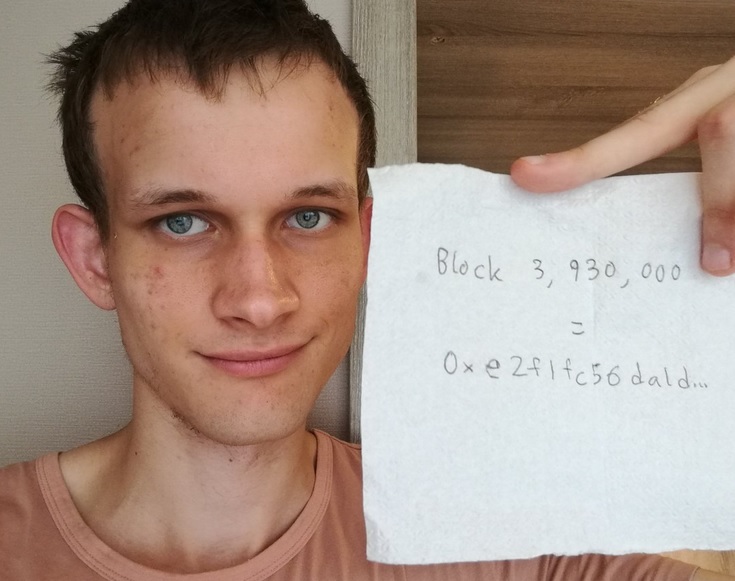 Vitalik Buterin has been described as a "benevolent dictator" when it comes to championing code changes.14 This is also very troubling and risky from an organizational perspective; leaving your technology solution in the hands of one very notable and trusted person might be an effective strategy for an incubator project, but not if the fate of your company is resting on that blockchain. There's only one current crypto-currency that mainstream bankers, central banks, and other financial services companies can depend upon for effective code governance to reduce their risk; XRP. 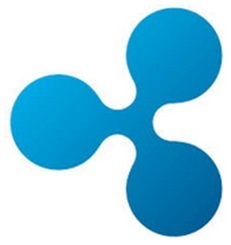 With their well-defined amendment process, Ripple is able to act quickly and make code updates in an organized and transparent manner. 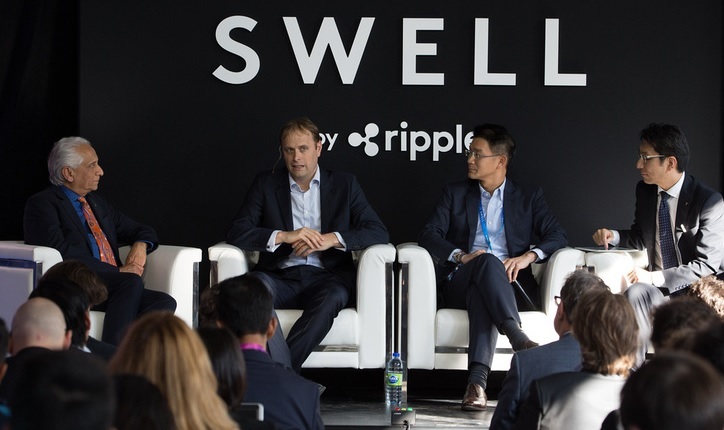 All effects and impacts to customers are known well in advance, and Ripple is committed to the adoption of its technology by all of its partners, past and present. If you were the CEO of a bank, isn't this what you're looking for? Reliability? Redundancy? Blockchain Technology? A US-based company?15 Accountability? A bank gets all of these things with Ripple. In my previous blogs, I've pointed out the performance metrics of XRP compared to the other top two crypto-currencies, but keep in mind that XRP is a digital asset that is in a class by itself. Like Google or Amazon, Ripple is setting its own benchmarks rather than looking at the competition. What makes a champion in sports? No matter what the sport, the best merely compete with themselves, not others. The same is true with XRP.